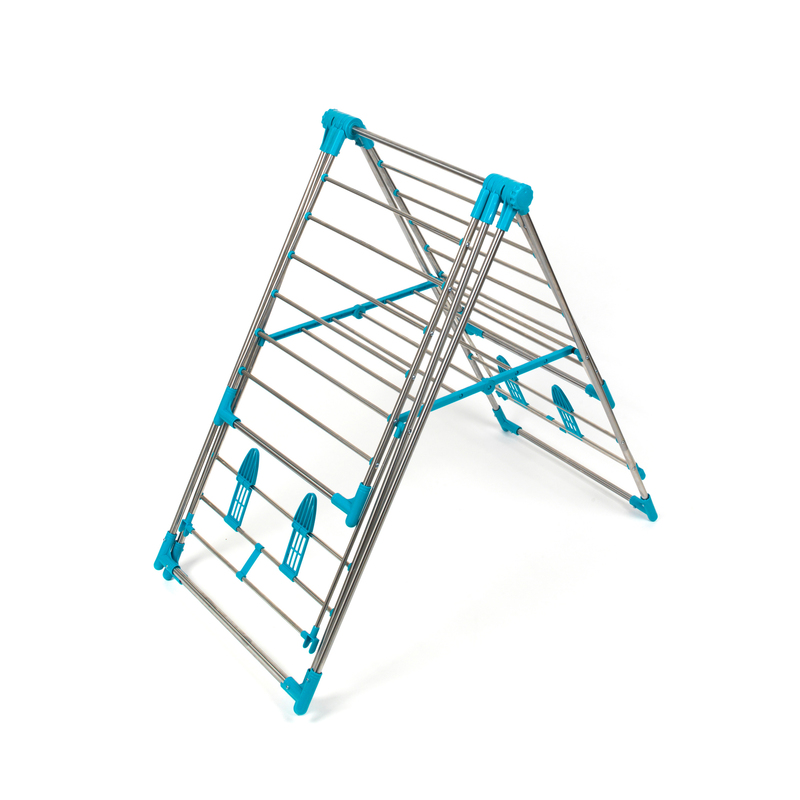 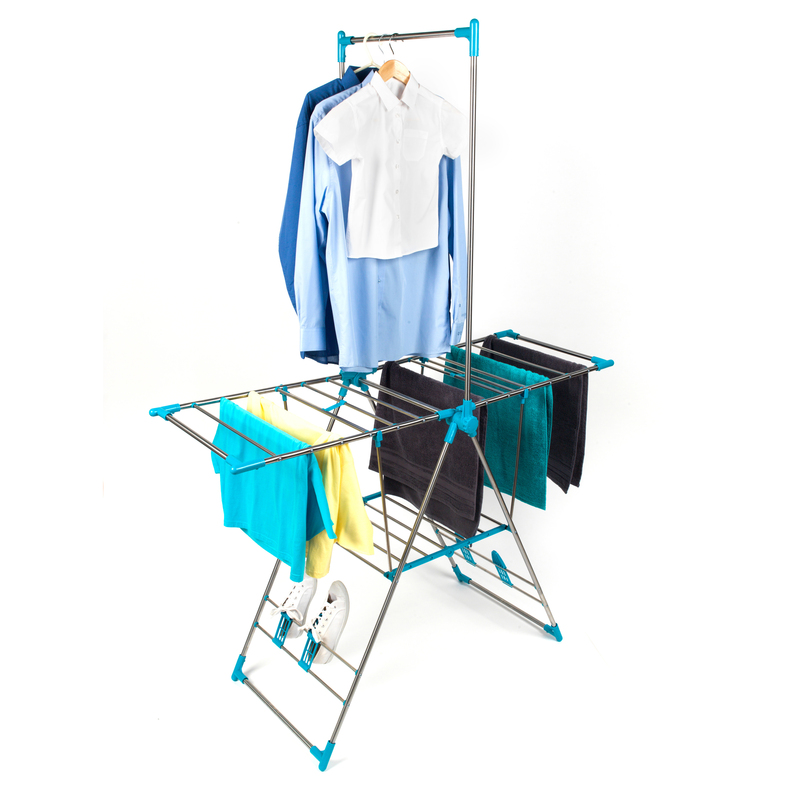 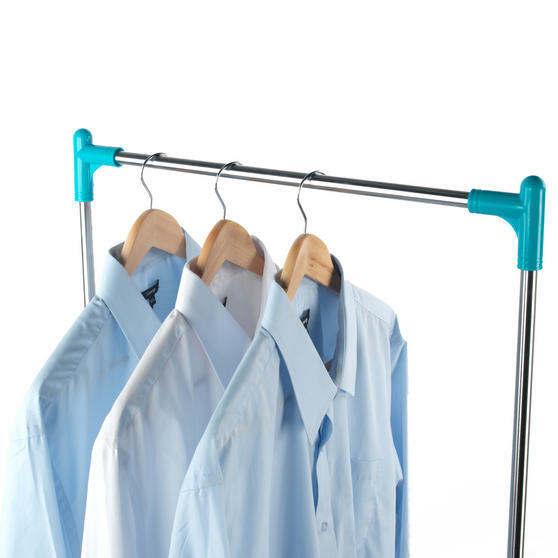 Save money on tumble drying and look after the environment with this brilliant clothes airer from Beldray. 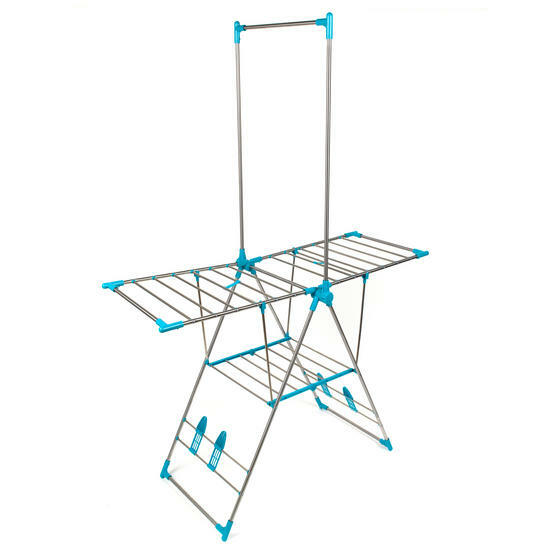 Constructed from stainless steel, this airer features an adjustable high hanger for drying long sheets and delicate clothes like shirts. 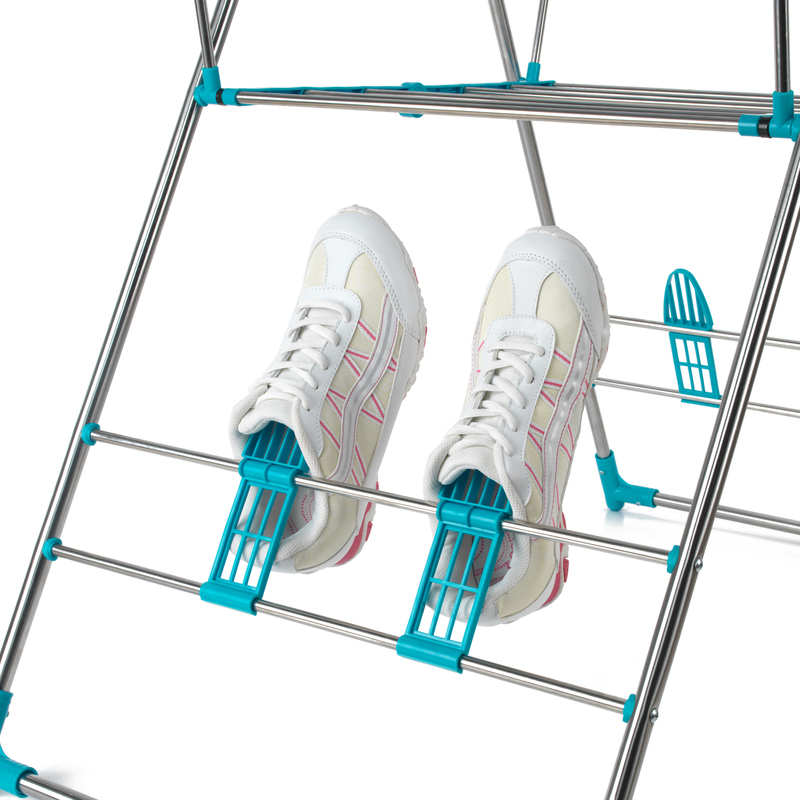 Also includes a shoe rack for drying footwear and offers a generous 13 metre total drying space. 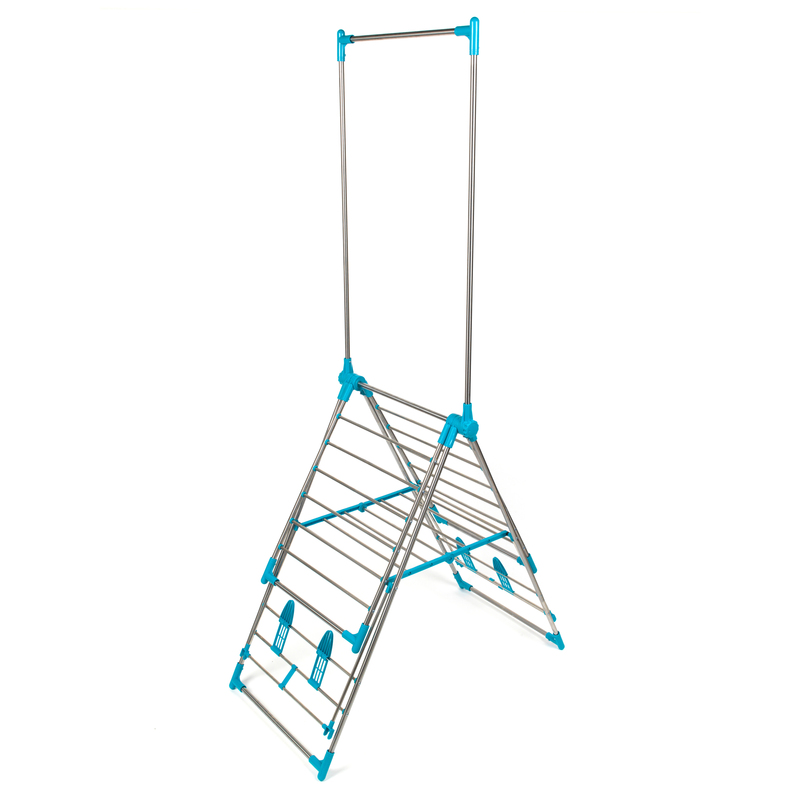 Perfect for indoor or outdoor use, this airer conveniently folds up into a compact size for easy storage. Dimensions (closed size): 60l x 7w x 110h cm. Dry your laundry with ease thanks to this Beldray airer with high hanger, shoe rack and a generous 13 metre drying space overall. The high hanger rack is perfect for drying large items like bedding or for clothes that are easily creased such as shirts and jackets. 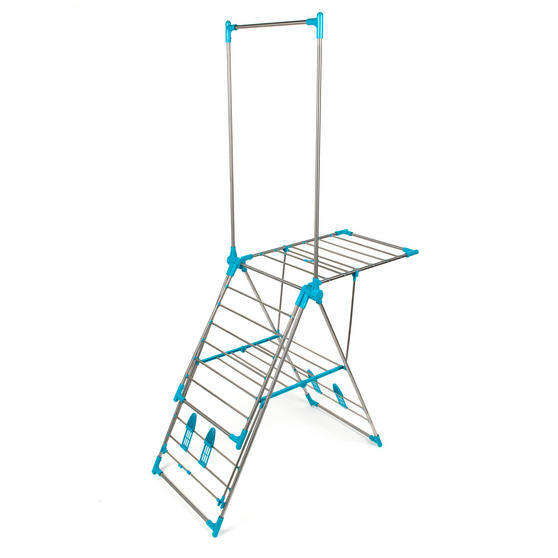 Opens into a standard airer for everyday use, also includes a shoe rack for hanging trainers, boots and other shoes as they dry. 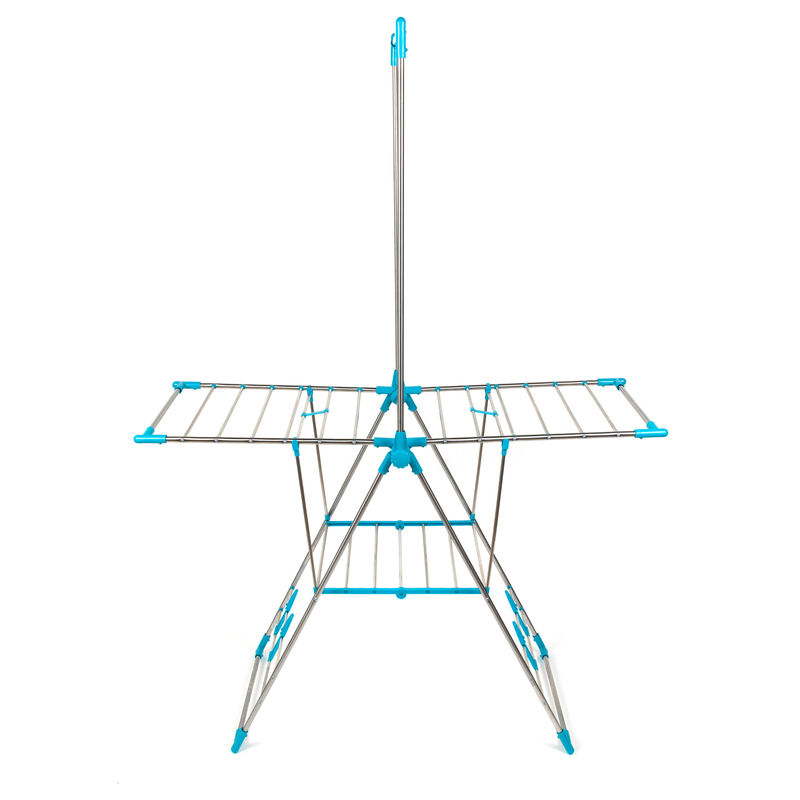 Despite having a generous 13 metre total space, this airer folds up flat and compact for easy storage when not in use. Constructed from quality durable materials, this airer is suitable for indoor and outdoor use, perfect for drying laundry on warm days.